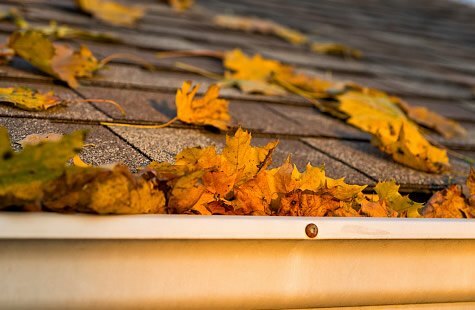 When fall comes around each year, leaves and other debris tend to naturally accumulate in the gutters of your home. Not only is cleaning your gutters a tedious job, it’s also not the safest. Installing gutter guards keep gutters from clogging with leaves, water and debris. You will never have to clean your gutters again when you get gutter guards installed by Mr Gutter. We offer three unique systems; Leaf Pro System, Forever Clean System and the Textured Forever Clean System. Each fabricated out of .032 gauge aluminum which is the heaviest gauge aluminum in the industry. 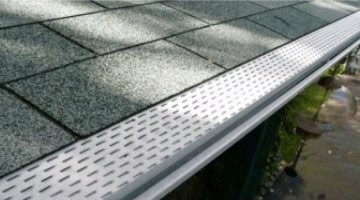 The Leaf Pro gutter system is designed to lay flat across the top of existing gutter systems. This makes it undetectable when looking at it from the ground. The innovative design of using punched slots for the Leaf Pro system allows the most amount of water to filter through it without clogging. Leaf Pro keeps leaves, pine needles and debris from getting into the gutter which eventually clogs gutter systems. We fabricate our system using .032 gauge aluminum, the heaviest gauge aluminum in the industry. By using .032 gauge aluminum, it insures that the Leaf Pro system can withstand even the heaviest snow loads for many years to come. Just think, you will never have to clean your gutters again using the Forever Clean gutter system. It installs under the first course of asphalt shingles on the edge of the roof so that 100% of the water goes into the gutter system. The top has a unique design with punched slots to slow the water down and filter through into the gutter. Other companies use leaf covers that have solid covers which allows water to race over the top and miss the gutter completely. The Forever Clean system is fabricated out of .032 gauge aluminum which is the heaviest gauge aluminum in the industry. By using .032 gauge aluminum, you won’t have to worry about it collapsing, like other systems, when we get hit with a heavy ice or snow storm. We make the Forever Clean system color to match your gutter system. Guarantee: We have a lifetime guarantee on our Forever Clean system. We guarantee that your gutters will never clog or we will clean them for free for the life of the system. The Textured Foreverclean System is for the distinguished homeowner that wants the assurance of no maintenance but also wants to keep the curb appeal of their home. It’s color matched to the shingles in order to blend in with the roof line and be aesthetically pleasing. 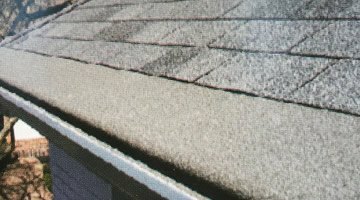 The Textured Foreverclean System is installed under the second course of shingles and attaches to the front lip of the gutter. The finish doesn’t fade or chalk. Roofing granules slow down the flow of water through absorption and friction. Water flows much slower over a rough surface than a smooth surface. The Textured Foreverclean System can handle a high volume of water due to the rough surface of the gutter protection. Guarantee: We have a lifetime guarantee on our Textured Forever Clean system. We guarantee that your gutters will never clog or we will clean them for free for the life of the system. Which cover would you recommend on my house? The most popular cover that our customers recommend is the Foreverclean System. They like the fact that they don’t ever have to clean out the gutters and there’s no maintenance. Will gutter covers stop my ice daming? The Foreverclean gutter cover and the Textured Foreverclean gutter cover will help in reducing ice dams but will not eliminate them. The ice dam problem needs to be corrected with proper ventilation and insulation. 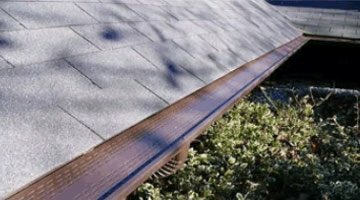 Ready to Get Started on Gutter Guard Installation?